The National Bureau of Investigation (NBI), in partnership with the Parañaque City government under Mayor Florencio Bernabe Jr. will hold another mobile NBI clearance service on Tuesday July 17 from 8:00 a.m. To 5:00 p.m. at the Executive Lounge on the second floor of the city hall. Pop Star’s Illicit Kiss Becomes Fodder for Government Ads in Hong Kong - A married singer was caught on video embracing an actress, and then apologized abjectly. Officials were quick to put his humiliation to use. Detroit Red Wings officially name Steve Yzerman as general manager - The Detroit Red Wings named Hockey Hall of Fame forward and Red Wings icon Steve Yzerman as the team's next executive vice president and general manager. India elections: Will farm crisis be PM Narendra Modi's undoing? - As the world's largest democracy votes, Al Jazeera visits a village to understand the festering crisis in rural India. The Terry Gou I Know Won’t Be China’s Man - Foxconn’s founder is an astute and unpredictable dealmaker who rarely lets anyone else call the shots. US man arrested for threatening Democratic politicians - Police say the man threatened Ilhan Omar, Rashida Tlaib, Eric Swalwell and Cory Booker. TED 2019: The start-ups launching in space - Space is getting busy thanks to a new era of commercialisation. 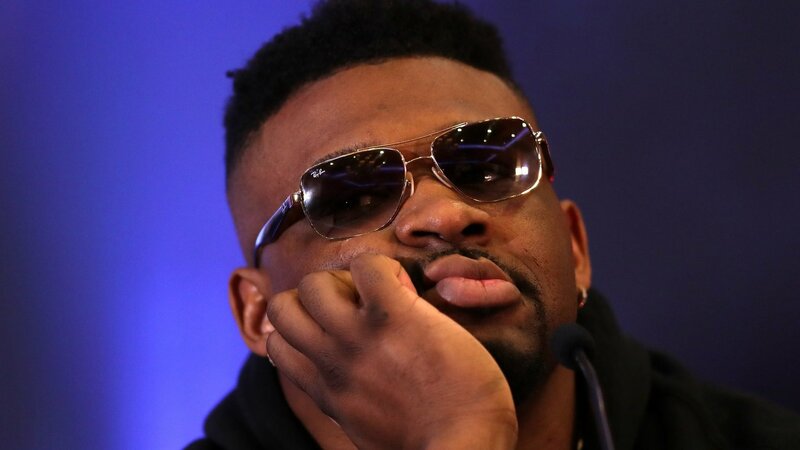 Miller 'messed up' and apologises after failed drugs test - American Jarrell Miller says he "messed up" and apologises after a failed drugs test sees his fight against Britain's Anthony Joshua called off. Passion Play in Brazil shantytown a voice against injustice - The back streets of Brazil’s biggest shantytown have become the stage for an Easter passion play that mirrors the realities faced by its residents. Judge Delivers Major Setback to Trump Policy to Increase Coal Mining on Federal Land - The Interior Department acted illegally when it sought to lift an Obama-era moratorium on coal mining on public lands, a court found.